Dustin Fraser as Vice President of Product Development. Politis specializes in developing and deploying comprehensive strategic marketing and marketing communications programs. As CMO, he will use his 30+ years of industry experience to bring awareness of MULTIVOICE to the various vertical markets the company is targeting. During his career, Politis has helped drive more than $1.1 billion in increased corporate valuations. Prior to joining MULTIVOICE he spent four years as the CMO of Xi3 Corporation where he was responsible for introducing and launching new products, interfacing with strategic partners and investors, and serving as its primary spokesman. Previously, Politis was the president and CEO of Politis Communications for over 20 years, a tech-focused PR agency in the Rocky Mountain region. He also founded and led SOAR Communications for five years, an outdoor- and recreation-focused marketing agency. Politis has a bachelor’s degree in Mass Communications from BYU. Vickery joins MULTIVOICE with a 25-year track record in entrepreneurship, marketing, sales, product development and operations. He is an experienced strategist for developing and penetrating markets for technology-based products and services using a disruptive innovation framework. Vickery also brings a broad range of experience across such industries as high-tech, wireless, financial services, healthcare and manufacturing and he was also involved with numerous venture-backed start-ups since 1992. For example, he was a member of the management team of Pandesic, a joint venture of Intel and SAP, and led business development activities for the firm. Vickery was also a member of the management team of Industry.Net Corporation, a pioneering electronic marketing and e-commerce company that merged with AT&T Business Network in 1996 to form Nets, Inc. More recently, he was a co-founder of two San Diego based companies, Change.com and CoachLogix, while also serving as a member of the board of directors at MultiLing. Vickery has a bachelor’s degree in Marketing and Computer Science from Wright State University. Fraser brings with him marketing and sales experience along with product design creativity. He was instrumental in the design and production of MULTIVOICE’s MV900™ and MV-NEXUS™ Wireless Mesh-Network Intercoms™, as well as its MV-COMBINER™ personal wireless gateway. In his role at the company, Fraser will continue to help in developing cutting-edge products for MULTIVOICE. Prior to MULTIVOICE, he was a marketing manager at Arlington Scientific and vice president of sales for Satellite Experts. Fraser has a bachelor’s degree in Business, Management and Marketing from Utah Valley University. 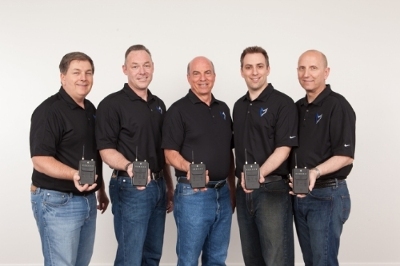 Formed in 2011, MULTIVOICE is poised to disrupt the two-way wireless radio industry with its Wireless Mesh-Network Intercoms solutions that enable simultaneous and secure group communications among fearless individuals in rigorous environments. For more information please visit https://multivoice.com. MULTIVOICE, the MULTIVOICE marks and logos, MV900, MV-NEXUS, Wireless Mesh-Network Intercom, and MV-COMBINER are each trademarks of MULTIVOICE. All other trademarks are properties of their own respective owners.